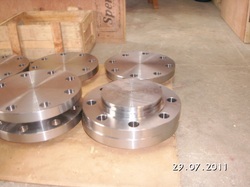 Manufacturer & Exporter of Bottom Flange. Our product range also comprises of Valve Trims, Valve Disc and Stellited Components. We are one of the widely acclaimed manufacturers and suppliers of Bottom Flange. 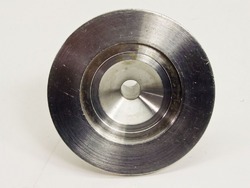 The offered bottom flange is very widely used for the construction of bridges. Our supplied bottom flange is acclaimed for disk shaped closing end and light weight body. The offered bottom flange is resistant to corrosion and chemical attacks. 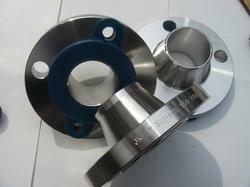 Our supplied bottom flange is available at very cost effective market selling rates. Our clients can avail from us Stainless Steel Pipe Flange that are available in different models like screwed and flanged end along with single and three piece designs. To ensure that our valves deliver high work output at different industrial applications, these come in cast iron, stainless steel, cast steel and gun metals. Furthermore, our valves are available in different sizes and shapes at market leading prices to meet the needs of our clients. Looking for Bottom Flange ?